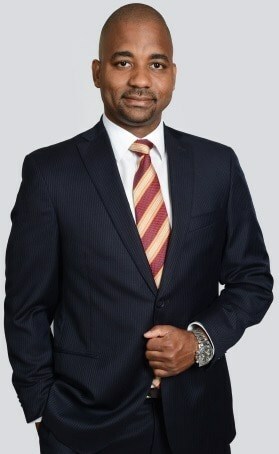 Mr. Steven Gooden – CEO, NCB Capital Markets Limited will speak on the topic “Capital Markets as a catalyst for economic growth and development ” at the JSE’s 14th Regional Investments & Capital Markets Conference on Tuesday, January 22, 2019. Today, Fontana Limited (FTNA) listed its 1.249 billion ordinary shares on the JSE’s Junior Market at a price of $1.88. 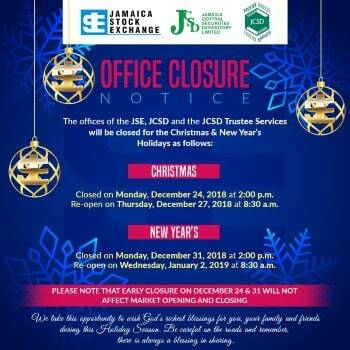 Eppley Limited (EPLY) – Graduation of Junior Market Securities to the Main Market This is to advise that Eppley Limited (EPLY) has graduated to the Main Market and will no longer trade on the Junior Market of the Jamaica Stock Exchange. 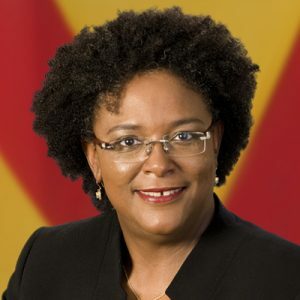 Honourable Mia Amor Mottley, Q.C., M.P., Prime Minister of Barbados will speak on the topic “New Approach to Regional Development: The Growth Agenda” at the JSE’s 14th Regional Investments & Capital Markets Conference on Wednesday, January 23, 2019. 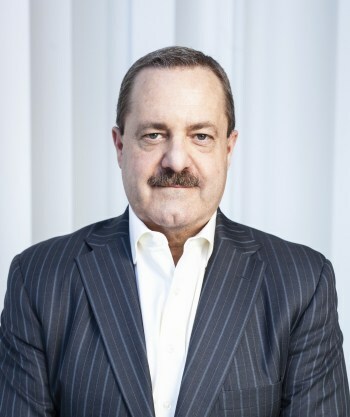 Mr. Gregory Fisher – Managing Director, Head of Emerging Markets, Fixed Income & Wealth Management at Jefferies will be at the Opening Night of upcoming JSE Regional Investments & Capital Markets Conference, on Tuesday, January 22, 2019, speaking on the topic, “Disruption in the Global Financial Markets: Opportunities & Threats for Emerging Markets”.